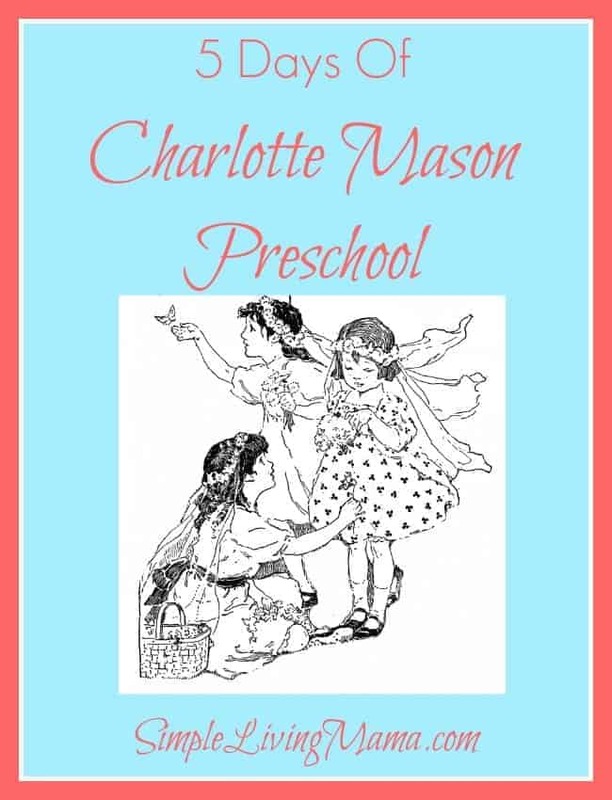 Today is Day 1 of our series, 5 Days of Charlotte Mason Preschool and we are going to discuss Charlotte Mason habits! I could honestly devote an entire series to habits, so I am going to give you an abridged version and offer you a few tips on how to implement habit training in your Charlotte Mason preschool with your little ones. 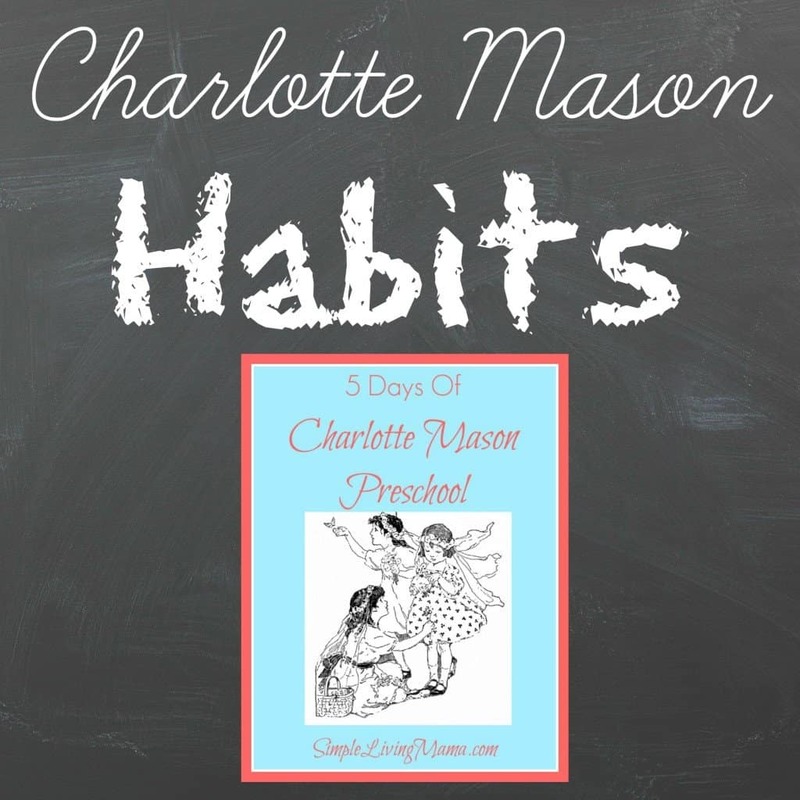 What is Habit in a Charlotte Mason Preschool? When we think about habits, we tend to think of the actual things we do. We brush our teeth in the morning and before bed, we take a shower at the same time every day, maybe you have a habit of checking your email at the same time, or reading a book at a certain time of day. In every thing we do, we form habits. We teach our children to brush their teeth, comb their hair, to share with their siblings, and so on. When Charlotte wrote about habits, she went beyond these physical things we do. You can make habits out of character traits. When we teach our children proper hygiene we are teaching them the habit of cleanliness. When we teach them to put away their toys in certain places, we are teaching them the habit of order. The goal is to instill these character traits in our children so that they become habits that will carry with them for the rest of their lives. Training our children in good habits is one of the most important things we can do during the preschool years. When we help them shape their characters and let them know what we expect of them, our days are much easier. On the other hand, when we leave children to do as they please we end up with days spent arguing over finishing schoolwork, doing chores, and trying to get them to do what is “right.” I think we can all agree especially as homeschool moms we want our days to be as smooth as possible! Charlotte recommends you focus on one habit at a time. Take one habit, such as obedience, and focus on it for six to eight weeks. When you move on to the next habit, just keep on eye on the ones you have already formed, but keep your focus on the one habit you are instilling in your child. Let’s say you want to work on truthfulness with your preschooler. You have noticed that she has started accusing her brother of doing things when you know it was her. First, you need to instill the idea of truthfulness in her and present it in a way that being truthful will be her own idea. Explain to her in confidence why she should be truthful. Children naturally want to please their parents. When your child is truthful with you, praise them! You need to be the person who knows your child can succeed, who expects them to succeed, and encourages them! Here are three habits I recommend you start with during the preschool years. If you can instill these habits in your children early on, your days will be much smoother! I have just barely begun to touch on Charlotte Mason habits here. I highly recommend you read the free eBook Smooth and Easy Days from Simply Charlotte Mason. This eBook is a much more thorough introduction to cultivating habits and it even includes a large list of the habits Charlotte touched on in her original work. What a great series! Definitely will be following along. Just downloaded that book you recommended. Charlotte Mason’s writings (specifically the book Karen Andreola wrote) were very influential on me when we first started homeschooling and I was battling pressure to follow a boxed curriculum. Mason had so many practical, effective methods of teaching children in a relaxed, real-life atmosphere. Love that. You’ve reminded me though about her teachings on habits, and I have been neglectful in that. Yes, those are truly things that give our little ones a solid grounding that prepares them for life. We’re blessed with lots of kids in a wide variety of ages. So it’s a challenge, but habits can make it all go so much more smoothly. Thank you!! Gwen Toliver recently posted…A Happy, Peaceful Home? Habits do make things run much more smoothly! Thanks so much for stopping by, Gwen! I don’t have any preschoolers right now (my boys are 10, 7, & 1) but this will be such a blessing to parents of littles. Just about to download the ebook. This will be a useful series of posts. So wish I had paid closer attention to this when my boy was younger. I’m reaping the not so fun results of not doing so now, in middle school. Marcy (@BenAndMeBlog) recently posted…Helping Children in Uganda (day one) — Meet Praise! That’s so true. What you do when you children are little makes a world of difference in the middle years. Thank you for the encouragement to work on habits. 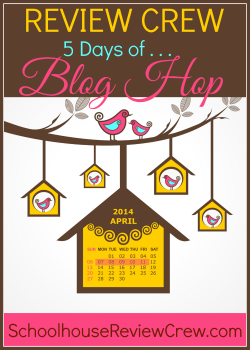 Ellen Pool recently posted…Five Days of Making Homeschooling Fun! Day 2–Take it Outside!